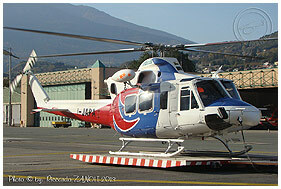 Aerospatiale SA315B Lama 2525 00.1996 00.0000 [ex G-BMKT] sold to S.W.S. "Airgreen ... VdA operations 2015"
One day with Airgreen and HEMS 118 Regione Piemonte Crew in Torino Aeritalia Base, September 2011. 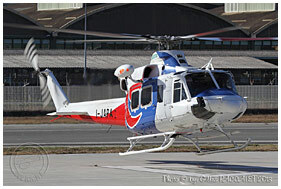 I-ROBS Airgreen ... operating on behalf of HEMS 118 Regione Piemonte - Cuneo Base. Torino CTO Hospital, December 2018. 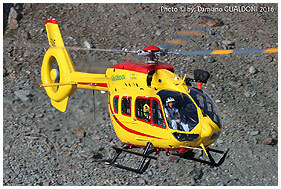 I-ROBS Airgreen ... operating on behalf of HEMS 118 Regione Piemonte - Cuneo Base. Cuneo Levaldigi Airport, November 2017. 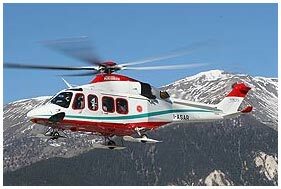 I-ROBS Airgreen ... operating on behalf of HEMS 118 Regione Piemonte - Cuneo Base. Cuneo Levaldigi Airport, January 2018. 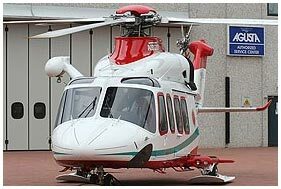 I-ROBS Airgreen ... operating on behalf of HEMS 118 Regione Piemonte - Cuneo Base. Cuneo Levaldigi Airport, August 2017. 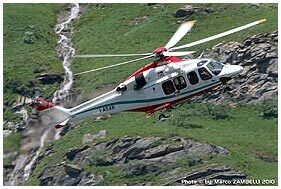 I-ROBS Airgreen ... operating on behalf of HEMS 118 Regione Piemonte - Cuneo Base. Alba Hospital (CN), August 2017. I-ROBS Airgreen ... at Cafasse (TO) mainbase, March 2017. I-RAIE Airgreen ... performing pre-delivery flights, September 2016. I-TORQ Airgreen ... wearing HEMS 194 Croatia colors and logo. Cafasse (TO), March 2016. I-TDUE Airgreen ... Cafasse (TO), March 2016. 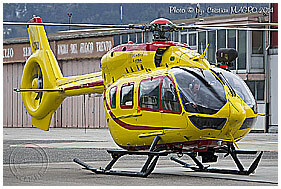 I-TORQ Airgreen ... first EC145T2 registered in Italy. Trento Mattarello, December 2014. 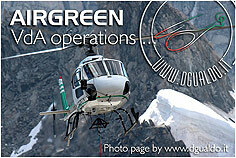 I-GREI Airgreen ... operating on behalf of HEMS 118 Regione Piemonte. Biella Hospital, March 2019. I-OLBI Airgreen ... operating on behalf of AREUS 118 Regione Sardegna. Taking off from Nuoro San Francesco Hospital, December 2018. I-EASW [I-OLBI] Airgreen ... performing pre-delivery flights, March 2018. I-ASAR Airgreen ... operating on behalf of 118 Regione Piemonte. Biella Hospital (BI), April 2017. 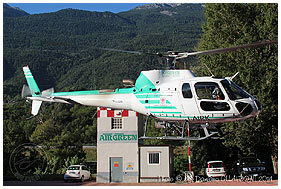 I-GREI Airgreen ... operating on behalf of Elisoccorso Valle d'Aosta. Passo dei Salati, March 2017. I-NOST Airgreen ... operating on behalf of HEMS 118 Regione Piemonte during night operations at Casale Monferrato (AT), December 2014. I-ASAR Airgreen ... operating on behalf of 118 Regione Piemonte from Cuneo Levaldigi airport, January 2008. 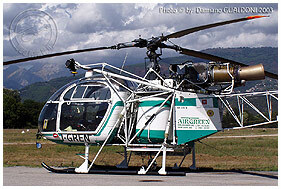 I-ASAR Airgreen ... operated on behalf of Protezione Civile VdA. Aosta Airfield, September 2006. 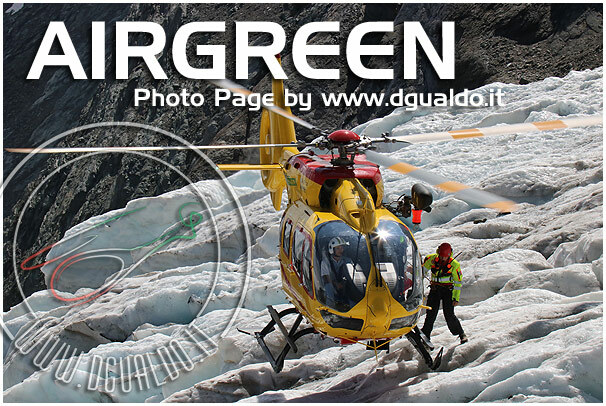 I-GREI Airgreen ... operating on behalf of HEMS 118 Regione Piemonte. 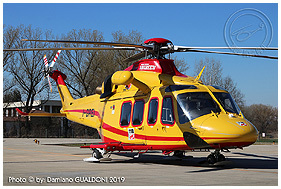 Alessandria Helipad, March 2019. I-OLBI Airgreen ... operating on behalf of AREUS 118 Regione Sardegna. Resting at Sassari Hospital, July 2018. I-OLBI Airgreen ... training activity at Torino Aeritalia, May 2018. I-NOST Airgreen ... operating on behalf of HEMS 118 Regione Piemonte. Cossato (BI), February 2017. I-NOST Airgreen ... operating on behalf of HEMS 118 Regione Piemonte. Torino-CTO Hospital, January 2010. 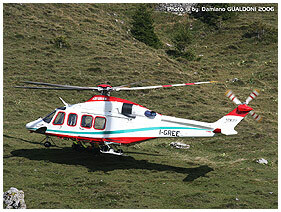 I-GREI Airgreen ... HEMS 118 Regione Piemonte. Intra helipad (VB), July 2012. 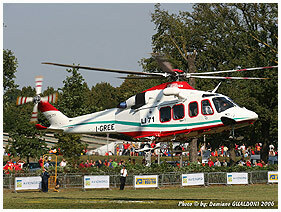 I-GREI Airgreen ... HEMS 118 Regione Piemonte. Prarostino (TO), December 2012. 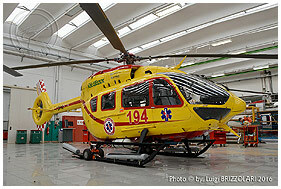 I-BEPP Airgreen ... factory new "139" operating on behalf of HEMS 118 Regione Piemonte. Torino Aeritalia, December 2008. I-GREE Airgreen ... rescue demonstration at Piani di Farno (BG), October 2006. I-GREE Airgreen ... at Biella Hospital (BI), April 2017. 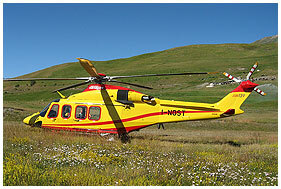 I-NOST Airgreen ... operating on behalf of 118 Protezione Civile Valle d'Aosta. Vetan (AO), August 2009. 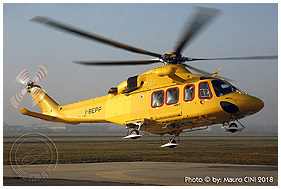 I-BEPP Airgreen ... HEMS 118 Regione Piemonte. Torino Aeritalia, December 2008. 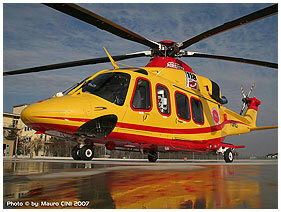 I-GREI Airgreen ... HEMS 118 Regione Piemonte. Operating from Alba Hospital Helipad, December 2007. I-GREE Airgreen ... approaching landing pad for a rescue exercise. Courmayeur (AO), December 2007. 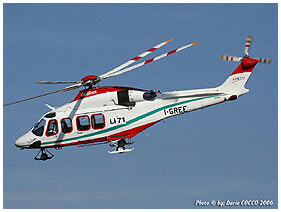 I-GREI Airgreen ... third Airgreen AW139 operating on behalf of HEMS 118 Regione Piemonte from Cuneo Levaldigi Airport. September 2007. I-OLBI Airgreen ... operating on behalf of AREUS 118 Regione Sardegna. Olbia Airport, July 2018. I-OLBI Airgreen ... at Torino Aeritalia Airfield, May 2018. I-ASAR Airgreen ... operating on behalf of 118 Regione Piemonte. Biella Hospital (BI), January 2017. 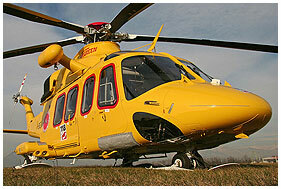 I-GREI Airgreen ... HEMS 118 Regione Piemonte. Great "reflection" at Cuneo Hospital Helipad, December 2007. I-NOST Airgreen ... resting on Cervinia Helipad (AO), August 2009. 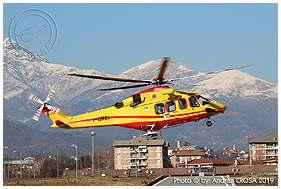 I-BEPP Airgreen ... HEMS 118 Regione Piemonte taking off from Torino CTO Hospital, December 2008. 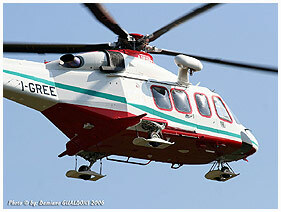 I-BEPP Airgreen ... operating offshore out of Padova Airport, February 2009. 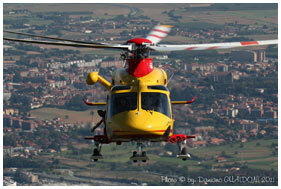 I-NOST Airgreen ... operating on behalf of HEMS 118 Regione Piemonte. Borgosesia Hospital, July 2012. I-RAIC Airgreen ... first EMS AB139 presented at Le Bourget Airshow 2005. 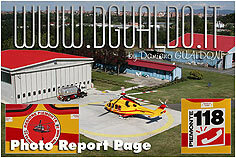 I-BEPP Airgreen ... operating on behalf of HEMS 118 Regione Piemonte. Torino Aeritalia, December 2018. I-NOST Airgreen ... taking off during HEMS 2009 event. Massa Cinquale, September 2009. I-BEPP Airgreen ... close-up view. Torino Aeritalia, December 2008. I-NOST Airgreen ... on duty at Rifugio Bertone, Courmayeur (AO), August 2009. 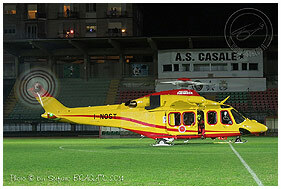 I-ASAR Airgreen ... operating as EMS helicopter during Torino 2006 Winter Olympic Games. Sauze d'Oulx (TO), February 2006. I-ASAR Airgreen ... ... getting ready for a long cold night in Sauze d'Oulx (TO) during Winter Olympic Games, February 2006. 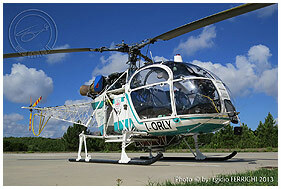 I-ASAR Airgreen ... operating as EMS helicopter during Torino 2006 Winter Olympic Games. Torino-Aeritalia, February 2006. 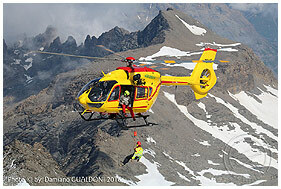 I-GREE Airgreen ... rescue exercise at Cime Bianche, Aosta Valley, February 2011. I-GREF Airgreen ... resting in Trento Mattarello, May 2012. I-GREB Airgreen ... just out of Aosta hangar, June 2011. I-GREB Airgreen ... undergoing heavy maintenance at Eurotech facility in Caiolo (SO), July 2008. 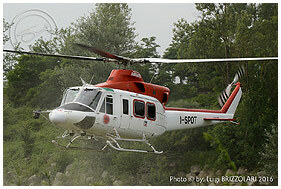 I-JAPA Airgreen ... operating on behalf of HEMS 118 Regione Piemonte. Alessandria Hospital Helipad, March 2016. 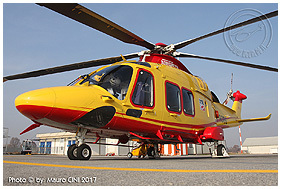 I-GONI Airgreen ... EMS 118 Regione Piemonte. Approaching Torino Aeritalia helipad, September 2007. I-SPOT Airgreen ... EMS 118 Regione Piemonte, May 2006. 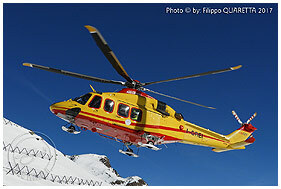 I-GONI Airgreen ... EMS 118 Protezione Civile Valle d'Aosta departing from Aosta Airfield for another rescue flight, April 2006. I-JAPA Airgreen ... Alessandria Hospital Helipad, March 2016. 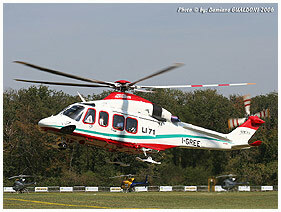 I-SPOT Airgreen ... HEMS 118 Regione Piemonte - Alessandria rescue crew exercise. Casal Cermelli (AL), June 2016. 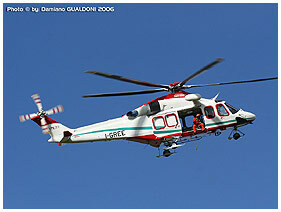 I-SPOT Airgreen ... EMS 118 Regione Piemonte, during a rescue mission in Favria (TO), February 2006. I-JAPA Airgreen ... taking off from Aosta Airfield, October 2013. I-JAPA Airgreen ... Close-up view of new "retrofitted" tail fin. Alessandria Hospital Helipad, March 2016. I-AIRR Airgreen ... working in Berat (Albania), October 2012. 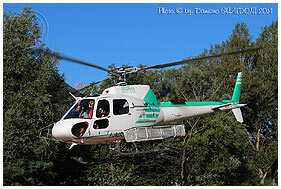 I-GONI Airgreen ... EMS 118 Protezione Civile Valle d'Aosta. Aosta Airfield, April 2005. I-SPOT Airgreen ... EMS 118 Regione Piemonte, resting in Torino Aeritalia at sunset, April 2008. I-JAPA Airgreen ... Aosta Airfield, October 2013. 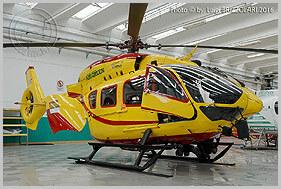 I-GONI Airgreen ... EMS 118 Regione Piemonte. San Sicario (TO), February 2005. 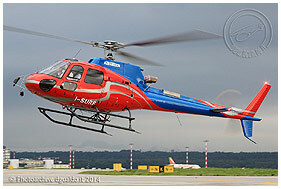 I-AIRR Airgreen ... operating on behalf of HEMS 118 Regione Piemonte. Alessandria, July 2007. I-AIRR Airgreen ... ... heli-shuttle for Monza Formula 1 Grand Prix. Linate ATA, September 1998. I-JAPA Airgreen ... still wearing its original Japanese paint scheme. Aosta Airfield, October 2013. I-AIVO Airgreen ... operating on behalf of HEMS 118 Regione Piemonte - Alessandria Base, during a visit in Padova, May 2005. 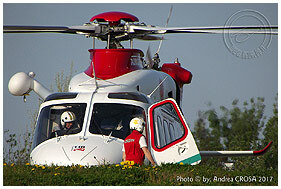 I-SPOT Airgreen ... EMS 118 Piemonte, landing at Torino CTO Hospital, September 2003. I-AIRK Airgreen ... working at Pianprato Soana (TO), July 2018. I-AIRK Airgreen ... resting at La Suche, La Thuile (AO), December 2017. I-AIRK Airgreen ... at Cervinia (AO), December 2017. I-SURF Airgreen ... visiting Milan Malpensa, August 2014. I-GRED Airgreen ... visiting Torino Aeritalia, July 2008. I-AIRK Airgreen ... evening woris at Passo del Teodulo (AO), November 2017. I-BMMB Airgreen ... resting at Saint Denis (AO), March 2016. I-AIRK Airgreen ... close-up view. St. Denis (AO), July 2014. I-SURF Airgreen ... Emarese (AO), August 2013. I-AIRK Airgreen ... taking off from St. Denis (AO), July 2014. I-GRED Airgreen ... operating on behalf of AIB Regione Piemeonte. Giaveno (TO), August 2007. I-GRED Airgreen ... operating on behalf of AIB Regione Piemeonte on Lago di Avigliana. Giaveno (TO), August 2007. I-PIEM Airgreen ... resting at Ceresole Reale (TO), June 2018. I-BMMB Airgreen ... Aosta Airport (AO), March 2016. I-AIRK Airgreen ... working in fantastic winter environment. Alpe Cialma, Locana (TO), December 2006. I-PIEM Airgreen ... in front of mainbase hangar in Cafasse (TO), May 2018. I-BMMB Airgreen ... close-up view. Saint Denis (AO), March 2016. I-GRED Airgreen ... landed in Margurais during a "Soccorso Speleologico" rescue at "Grotta Piaggia Bella". Massiccio del Marguareis (CN), August 2007. I-GREN Airgreen ... Massa Cinquale (MS), July 2003. I-ETIA Airgreen ... AIB operations out of Alà dei Sardi (Sassari), September 2004. 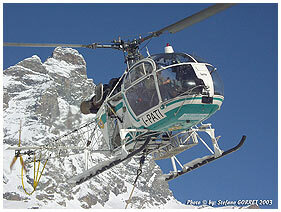 I-PATI Helops / Airgreen ... aerial works in Aosta Valley. Saint Nicolas (AO), September 2008. I-MURE Airgreen ... departing from Saint Denis (AO) for another flight. May 2004. I-OLEY Airgreen ... during refueling with the impressive Cervino on the background, November 2013. I-PATI Helops / Airgreen ... wearing double titles. Aosta Airfield, July 2008. I-PATI Airgreen ... resting at Aosta Airfield, July 2008. I-OLEY Airgreen ... St.Denis (AO), August 2004. I-ETIA Airgreen ... Alà dei Sardi (S), September 2004. 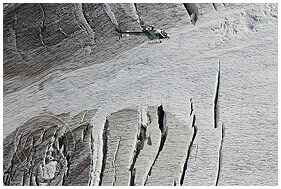 I-PATI Airgreen ... aerial works in Cervinia (AO), winter 2003. 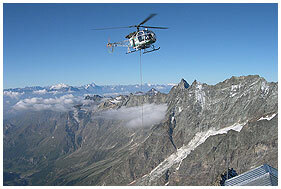 I-OLEY Airgreen ... working at Rifugio Jean Antoine Carrel, 3835 mtrs. August 2004. 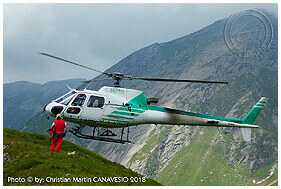 I-VIOU Airgreen ... operated on behalf of Protezione Civile Valle d'Aosta. Aosta Airfiled, March 1996. I-SWOK Airgreen ... ready for take-off from Fiano (TO), May 1989.